This September, new seasons of your favourite TV series abound! 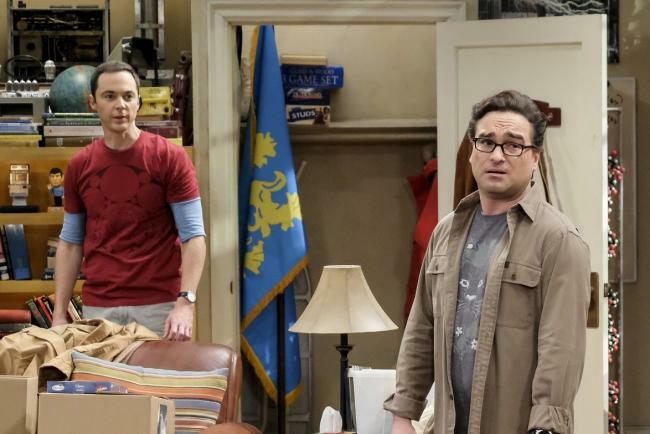 Live long and prosper with your favourite scientists on The Big Bang Theory, set to premiere on 25th September on Tuesday @ 8.10PM, before the continuation of new episodes on Fridays @ 8.10PM. Following episodes of the quirkiest nerds on TV is the story of how Sheldon becomes the man he is on Young Sheldon, set to premiere on 25th September on Tuesdays @ 8.35PM, before the continuation of new episodes on Fridays @ 8.35PM. 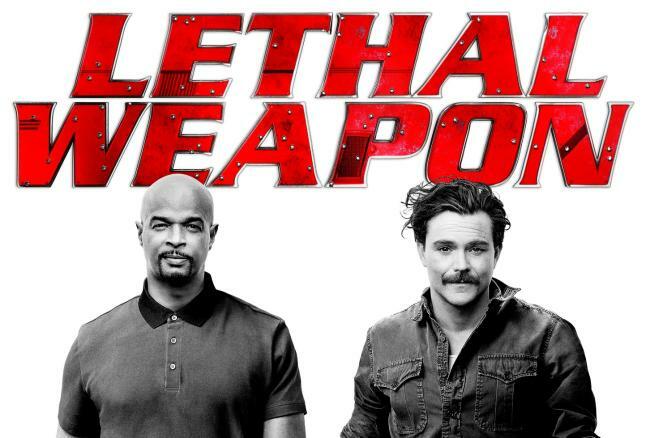 Also set your calendars to welcome back Lethal Weapon, set to premiere on 26th September on Wednesday @ 9.00PM and The Last Ship, set to premiere on 10th September on Monday @ 9.00PM. Do also remember to keep up with Supergirl on Tuesdays @ 9.00PM and double episodes of The Flash on Wednesdays @ 9.00PM. Despite their on-again, off-again relationship in the past, Leonard and Penny have finally gotten married. Even Sheldon has found a female companion – entering into a “Relationship Agreement” with neurobiologist Amy Farrah Fowler (Mayim Bialik), and he recently took their relationship to the next level by proposing marriage. In their free time, Leonard and Sheldon enjoy fantasy role-playing games with their ever-expanding universe of friends, including fellow scientists Rajesh Koothrappali (Kunal Nayyar), Howard Wolowitz (Simon Helberg) and Howard’s adorable microbiologist wife, Bernadette (Melissa Rauch), who is now adjusting to life with their two new children. And while the vulnerable, gifted and somewhat naïve Sheldon deals with the world, his very normal family must find a way to deal with him. For 10 years on The Big Bang Theory, audiences have come to know the iconic, eccentric and extraordinary Sheldon Cooper. LETHAL WEAPON combines action and drama with humor as Detective Roger Murtaugh (DAMON WAYANS) is joined in season three by SEANN WILLIAM SCOTT (American Pie films), who plays a new character that folds into a partnership with Murtaugh. As always, Murtaugh is also navigating some challenging times at home, alongside his wife, Trish (KEESHA SHARP) and kids, Riana (CHANDLER KINNEY) and RJ (DANTE BROWN), while working a crime-ridden beat in modern-day Los Angeles with Captain Brooks Avery (KEVIN RAHM), fellow detective Sonya Bailey (MICHELLE MITCHENOR), police psychiatrist, Dr. Maureen Cahill (JORDANA BREWSTER) and CSI tech/filmmaker Scorsese (JOHNATHAN FERNANDEZ). 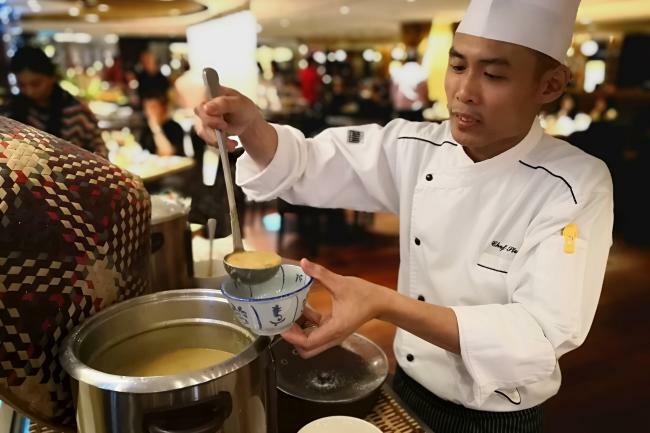 This season, the world is finally recovering from the deadly virus that devastated the population, but global political unrest remains. Tom Chandler (Dane) has retired and his former crew has scattered, many having risen in the ranks within the Navy. Sasha Cooper (Regan), Lieutenant Danny Green (Travis Van Winkle), SBS WO-N Wolf Taylor (Bren Foster) and Sergeant Azima Kandie (Jodie Turner Smith) are on a covert mission in Panama. When they are wrongly blamed for an attack on the Panamanian president, the consequences for the United States are dire. The Nathan James must fight to prevent invasion by Latin America — and the next world war. Season five is The Last Ship at its most epic, upping the ante on action and excitement, but at its core, it underscores the costs of prolonged war and the toll it takes on the heroes who fight it. When she was 12 years old, Kara escaped the doomed planet Krypton and was sent to Earth where she was protected and raised by her foster parents, Jeremiah and Eliza Danvers (guest stars Dean Cain and Helen Slater). Kara grew up in the shadow of her foster sister, Alex (Leigh), and learned to conceal the phenomenal powers she shares with her famous cousin, Superman (guest star Tyler Hoechlin) in order to keep her identity a secret. Years later, Kara was living a “normal” life in National City, assisting media mogul and fierce taskmaster Cat Grant (special guest star Calista Flockhart) and working with her famous friend, photographer James Olsen (Brooks), who Grant hired away from Metropolis’s Daily Planet. When Alex’s life was threatened in a plane crash, Kara took to the sky to rescue her. In the aftermath, Kara decided she could no longer sit on the sidelines and came out as Supergirl. She now balances her job as a reporter at CatCo Worldwide Media with her work at the Department of Extra-Normal Operations (DEO), a super-secret government agency run by J’onn J’onzz/the Martian Manhunter (Harewood), where Alex also works, as does Kara’s good friend Winn Schott (Jordan). In Season Three, Kara is grappling with the sacrifices she’s made and deciding if she should give up her human identity altogether. Being human and vulnerable is hard. Maybe she’s better off embracing her alien DNA and only being the “Girl of Steel.” As Kara struggles with her path forward, she continues to work with the DEO to battle all threats to National City, including new villains, Morgan Edge (Adrian Pasdar), and the “Worldkiller,” known as Reign (new series regular Odette Annable). Barry Allen lived a normal life as a perpetually tardy C.S.I. in the Central City Police Department. Barry’s life changed when the S.T.A.R. 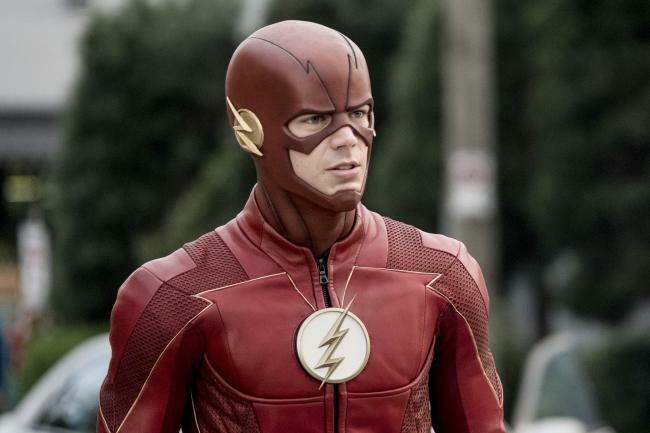 Labs Particle Accelerator exploded, creating a dark matter lightning storm that struck Barry, bestowing him with super-speed and making him the fastest man alive – The Flash. But Barry wasn’t the only person who was given extraordinary abilities that night. The dark matter also created meta-humans, many of whom have wreaked havoc on the city. New threats also arrived from parallel earths and dimensional breaches, under the direction of evil speedsters Zoom and Savitar. With the help of his adoptive father, Joe West, his fiancée Iris West, and scientist friends at S.T.A.R Labs, Caitlin Snow, Cisco Ramon and Julian Albert, as well as Harrison Wells from an alternate Earth, Barry races to protect the people of Central City from these powerful threats.